I've updated the Mani Turkzadeh entry with a link to youtube.com where you can view more of Mani's patriotic music videos and have also included links to a website where you can DOWNLOAD and share these awesome videos with friends, family, and others. There is one video with nice shots from student led demonstrations were Iranian youth display the Islamic Republic's flag with its "spider/sikh/onion" emblem CUT OUT. There are some very nice videos in there and I hope you like them! Please download and view Mani's videos. A very talented young Iranian youth whose heart beats for Iran and longs to see Iran free from the terrorist and anti-Iranian mollah's! Pass on his work to friends and family. 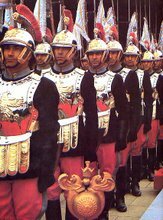 After failed attempts, by Imperial Iranian Generals/Colonel's and Iranian Freedom Fighters, to save Iran from the ruthless hands of the mollah's after the Islamic takeover in 1979, a war was started by the Islamic Republic with Saddam (Iraq) which was meant to give them (the mollah's) time to consolidate their oppressive rule. After 8 long years of war they had accomplished to do so. First in 1999 did a major uprising once again take shape against the mollah's dictatorship - and this time it was the new generation of Iran who rose up - the students, who had not had the chance to live during pre-1979 Iran, but who had experienced the ruthless dictatorship of the Islamic Republic. It is important to recount this story so i've included this article which touches upon the issue of the first major student-led uprising in Iran in 1999 in which unfortunately other sectors of society did not join and today all of us are paying the price for that grave mistake! The freedom fighting movement of the Iranian people however has not died off and there have been numerous other uprisings in Iran, but the fact that different sections have not been able to come together to form a united coalition against the Islamic Republic has hindered any overthrowal of this barbaric regime. If we are to bring change in our motherland through OUR OWN HANDS we MUST UNITE! 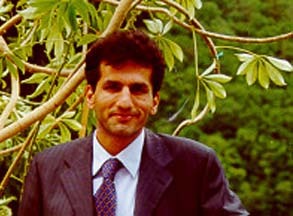 Ahmad Batebi was arrested by the savage security forces of the Islamic Republic occupying Iran in July of 1999 when wide-spread student led demonstrations erupted in the capital, Tehran. During the widespread demonstrations the terrorist regime of the Islamic Republic and its merceneries attacked students at their dormitories in the middle of the night and caught them off guard. Many Iranian students were thrown out from the windows of their rooms and others were killed by savage thugs of the Islamic regime. The famous photograph on Ahmad Batebi holding up the blood-stained shirt of one of his fellow students was on the frontpage of international newspapers and magazines which lead to greater awareness of this young Iranian's plight. Ahmad Batebi was arrested and charged on charges of "endangering national security" and is to this day held by the Islamic Republic! As Batebi's health condition is deterioating rapidly, with alleged torture taking place today I've read news reports that state the death sentence has been handed downn on Ahmad Batebi by the Islamic Court Branch 13! Listen to Declan Lowney, the director of award winning comedy series Father Ted and Amnesty UK's 'We Know Where You Live! ', outline Amnesty concerns over the treatment of Ahmad Batebi in Iran. authority of Iran to condemn him to death. prisoners suffer, including their mixing with criminals. Committee for Democracy in Iran that has branches inside Iran. Please do sign it and spread awareness of all Iranian political prisoners and the savagery of the Islamic Republic! No! We do not want nuclear energy! As the terrorist Islamic Republic is advancing towards building a nuclear bomb, which it will undoubtedly pass on to other terrorist Islamic networks around the world (if not use them itself), the Iranian people continue to suffer under the dictatorship of the mollah's! I can still hear the wailing of the old woman; after all Bam was supposed to become Bam again and did not. These days, the residents of Bam have become addicts due to the misery of their lives. Addiction is a bogus and sinister gift. It has been more than 2 years since the sound of laughter has rung out in the ancient city of Bam. If you go to the street and open your eyes, you will clearly see colorful women who surrender their bodies to the hands of black-robbed men in order to avoid the wanting eyes of their hungry children…they go with these men, all the while closing their eyes and wishing with all their might that tonight will be the last time I do this. After all they wish they were mothers, like the rays of the sun, for their daughters. Prostitution due to poverty is a bogus and sinister gift. In quiet and empty alleys, when the sun casts it’s skirt over the old rooftops in midday, young men can be seen leaning against the wall; until a few years ago they had the ordinary dreams of outstanding lives and they wished for nothing more than to be breadwinners for their families, through perseverance. These days their jobs are carrying Hashish, Ecstasy pills, Opium, Heroin…They breathe but each exertion sinks them deeper in the quicksand. Joblessness and addiction are bogus and sinister gifts. Driving around uptown Tehran, you see towers that amaze you that they would be in Iran. If you take a trip to the Caspian coast, the villas and mansions will leave you shocked that people with such wealth can actually live in Iran. The youth of the families who own these houses are immersed in the latest fashion and fantasy with their latest model cars…you would think you’re in Europe. They neither recognize the taste of their tears, nor the bitter taste of the days of oblivion. Class distinction is a bogus and sinister gift. The cries of residents of Bam were still in the air when the earth under the feet of the people of Lorestan quaked…it was only a few days after Norouz. This time however, the lack of news about the victims of the earthquake left both the Iranian people and the despots disconnected; the regime did not want the rest of the Iranians to hear or be reminded of the cries of their fellow compatriots. And there was no request for aid either, as the dictators have clearly earned themselves a vile reputation, having plundered what was rightfully meant to be delivered to the needy people of Bam. The innocent people of Lorestan cried out, pleaded and were overcome by the desperation of homelessness, disease, hunger, destruction…but no one even shed a tear for them. Lying and governmental corruption is a bogus and sinister gift. If I were to express the misery that is in the hearts of all those who live in this cat-shaped borders, I may compromise the infamy to which our despots do not admit and with utter deception are driving us into further darkness. If I were to write about the escape of the hopeful youth to other countries, the loss of the value of our currency, the shame that goes along with being Iranian…if I were to write about the prisons and liberty in a country whose citizens have become weary and afflicted while waiting for a better tomorrow that’s been being promise for more than a quarter of a century, the words would not stand the weight of the melancholy sentences. I better maintain my silence and keep the lump in my throat within myself. We want liberty, open borders, friendship and hope. If you want the truth, yellow cake does not suit us at all because it does not bring honor and pride to our Iran. That is all. Amir Abbas Fakhravar is an Iranian student activist fighting for freedom and democracy in Iran. He has endured torture in the Islamic Republic's jails and since his last temporary leave he has been on the run from the Islamic Republic's security forces. The Islamic regime has issued orders of "shoot to kill" on Mr Fakhravar. 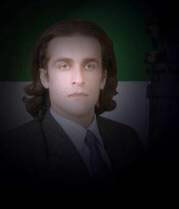 This is the profile of one Iranian Freedomfighter. [I'd like to stress that below the Iranian year is referred to as 1385 which is completely false as this figure is based on an Islamic calendar. 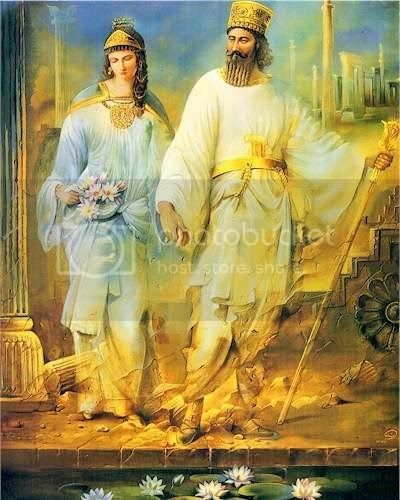 The Iranian year this year is 2565 and is based on the coronation of Cyrus the Great and the unification of the two Iranian Kingdoms at that time (Median and Persian). Under Shahanshah Aryamehr, the late King of Iran, the Imperial Calendar was reintroduced towards the end of the 70's; with the coming of the second Arabo-Islamic invasion of Iran in 1979 and the coming to power of the mollah's the Islamic propaganda and brainwashing campaign got a new boost with the mollah's having at their disposal the riches of an entire nation to steal and fund their anti-Iranian and terrorist activities!! We, the Students, Freedom Lovers of Iran, invite all those thriving towards the immensely difficult task of achieving freedom to participate in the "Congress for the Freedom of Iran", putting aside their differences and thinking instead of our children. The new Iranian year of 1385 is approaching. We shall call this New Year the Year of Freedom. We shall call upon all Iranians to set up with the help of international organizations, the "Congress for the Freedom of Iran" on March 22, corresponding to the 9 900th day of captivity of the Iranian nation in the hands of a few mullahs. Time is short! Let us gather our collective effort so that the 10 000th day of our captivity becomes the first day of our liberty. Amir Abbas Fakhravar is a writer, a journalist and a law student who has devoted his life to the fight for freedom and democracy in his native Iran. In the last 14 years he has been arrested numerous times, and has endured the most terrible forms of torture at the hand of the Islamic regime. He has yet to give up the fight! The purpose of this site is to provide a means of communication for Amir Abbas to the world and to provide the world a means of communication to Amir Abbas. I hope that one day not too far away in a free Iran we can once again honor our great countrymen. The last statesman of ours honoring Cyrus' memory is our late Shahanshah Aryamehr who spoke before Cyrus' Tomb in memory of Cyrus the Great. Shahanshah told Cyrus to sleep comfortably because we (nation) are awake...Shahanshah was wrong...hopefully one day we as a nation will awaken! 1400 years of foreign imposed influence (Islam a.k.a Arab culture or Pan-Arabism) is being tackled head on. 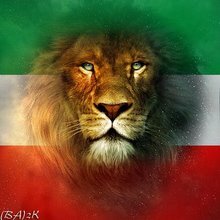 I hope the Iranian Nation awakens from its long "coma", gets rid of this 1400 year old virus, and restores Iranian pride to the ancient land of men like Cyrus the Great and Empress Purandokht! Thank you to all Iranians who are keeping their culture alive, they deserve our full hearted support, and may more follow this noble and honorable path.